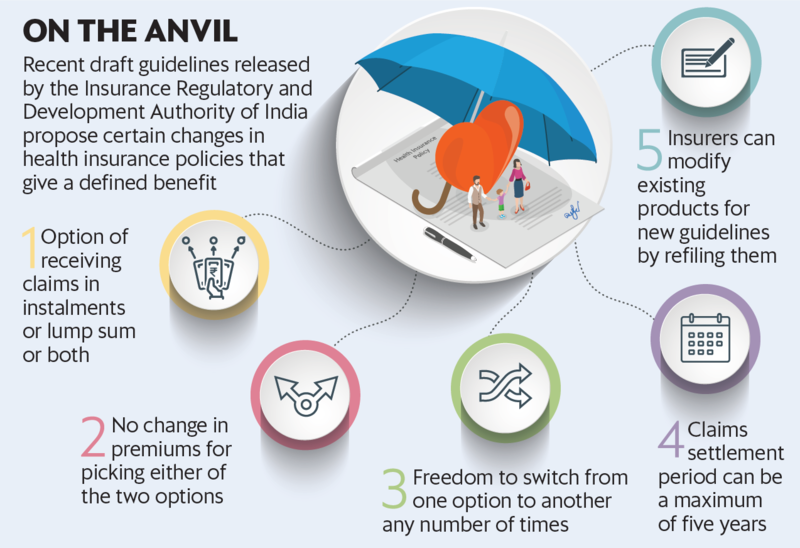 If you have a personal accident or any other benefit-basedhealth insurance policy, you may soon get the option of receiving claims in instalments, according to recent draft guidelines released by the Insurance Regulatory and Development Authority of India (Irdai). The regulator constituted a special working group in October 2018 to examine the proposals for allowing insurers to settle claims in instalments. The recommended guidelines suggest that policyholders be given the choice of receiving the claim in instalments or in a lump sum. “It’s a good option for the customer as it allows flexibility. Typically, fixed-benefit plans lead to large payouts but now the beneficiaries have a choice. Depending on their lifestyle requirement, they may choose to get the money in lump sum or in instalments which was not the case earlier,” said Amit Chhabra, head, health insurance, Policybazaar.com, an insurance aggregator. Existing plans: The draft proposal will also apply to existing personal accident and defined benefit health insurance products, such as hospital cash, major surgical benefit and critical illness policies, which pay a stipulated sum for an insured event. Insurers will have to refile their products to include this flexibility. However, the proposals do not clarify whether this will apply to policies that are up for renewal or even to policies in mid-term. Premiums: There will be no change on the premium front for choosing either of the two options. However, the total claim amount payable in the instalment option should be higher than the lump sum, said the proposals. Note that insurers cannot link payment of claims through instalments with interest rate, which means the payout will be in equal instalments. “The advantage will be that the amount of benefit will be fixed and known to the policyholder upfront at the time of buying the policy, as the insurer would be defining the benefit amount in the product filing which can be referred to by the policyholder in the terms and conditions of the policy,” said Ashish Mehrotra, managing director and chief executive officer, Max Bupa Health Insurance Co. Ltd. Exercise of options: Payment of claims in instalments, however, will not be the default option, and should be in addition to the lump sum option. “Policyholders need to be aware that they have these options and also understand when should they opt for what,” said Shweta Jain, certified financial planner, CEO and founder, Investography, a financial planning firm. The draft allows policyholders to change their already exercised option at any point at various stages of the policy contract, which includes inception , renewal, during the term of the policy or at the point of claim. Payout options: The instalments payout can be monthly, bi-monthly, quarterly or annual. The instalment option can be exercised over a maximum claims settlement period of five years, subject to product design. If a policyholder exercises the instalment option, the payouts would be spread over the claim payment period, said the circular. But you can also avail a combination of both the options. This means a percentage of the sum assured can be received as a lump sum and the remaining in instalments within the defined time limit. The guideline allows policyholders to switch from lump sum to instalments and vice-versa at any time from policy inception until the point of claim for any number of times he wishes. Note that you will be able to opt for instalments only beyond a certain threshold limit of the sum assured, as per the product purchased. The new guidelines will now allow claimants to have a regular source of income for a reasonable amount of time and also give them the freedom to choose how they would like to get the sum assured depending on the need for money at a particular time. 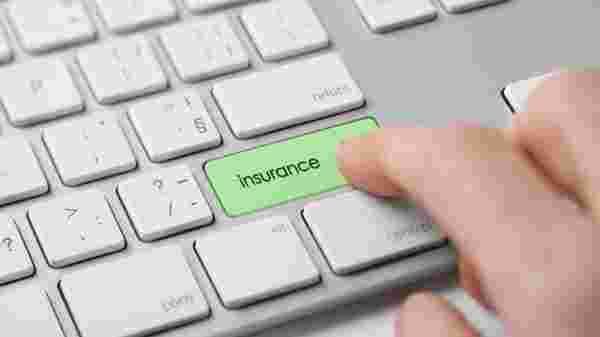 “This may be a little complex for the insurers but customers will have complete flexibility to choose the payout as per their lifestyle needs,” said Chhabra. Irdai has placed the draft guidelines for comments by stakeholders. Watch this space.